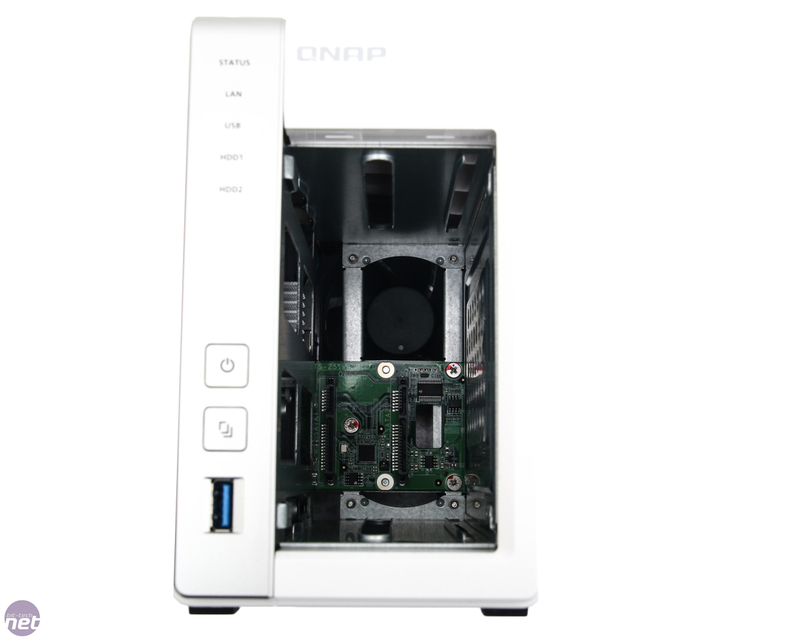 If there's one NAS manufacturer that can really take the fight to the ever-polished examples we get from Synology it's probably QNAP. Its enclosures, for the most part, are on par and it has even come up with some of the quietest models we've seen too such as the HS-251. 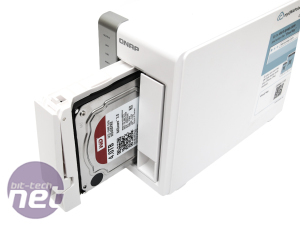 Today though, we're looking at the company's budget offering - the TS-231 - a dual-bay NAS with a price tag of just £120. 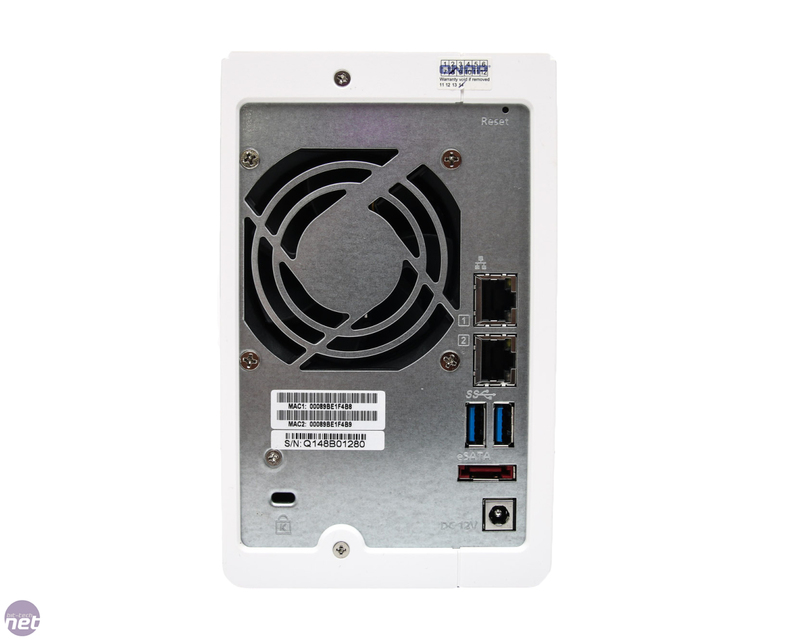 This is undeniably cheap, especially for a NAS that's bristling with USB 3 ports and dual LAN ports that support link aggregation - the latter being a feature you rarely see on anything below £150. 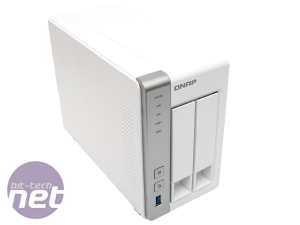 It includes a few features that have been absent from recent budget models too, such as a front USB 3 port and a one-touch copy button that can dump all the contents from a USB stick or memory card reader onto the NAS at the push of a button - handy if you don't want to have to power up your PC or laptop. The raw specification is fairly standard, with a Freescal ARM v7 Cortex A9 CPU, which sports two cores that are clocked at 1.2GHz and 512MB RAM, plus 3.5in and 2.5in drive support along with the ability to use some 8TB hard disks for a maximum of 16TB of storage space. 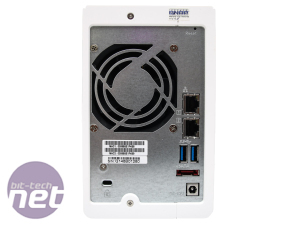 Sadly, the fan is only a 60mm model compared to the 92mm models in Synology's dual-bays, meaning that it's unlikely to be as quiet. The hard disk mounts also lack any kind of anti-vibration features. 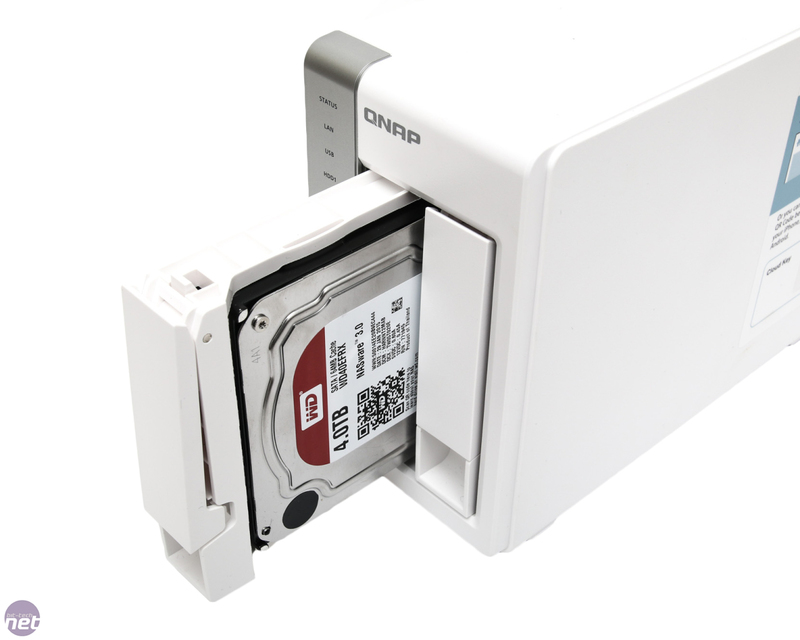 Admittedly, on Synology's cheaper NAS enclosures they're only small rubber mounts but they do seem to make a difference. Other than this the chassis is solid and well-made, and rather than needing to take the entire chassis off to remove the hard disks, the TS-231 sports two removable drive bays. However, the downside here is that the hard disks are essentially open to the air allowing noises to seep out while they're being accessed - again, not an issue if you're going to bung the NAS in a cupboard somewhere, but you probably won't want it in the same room as your entertainment system, for example. 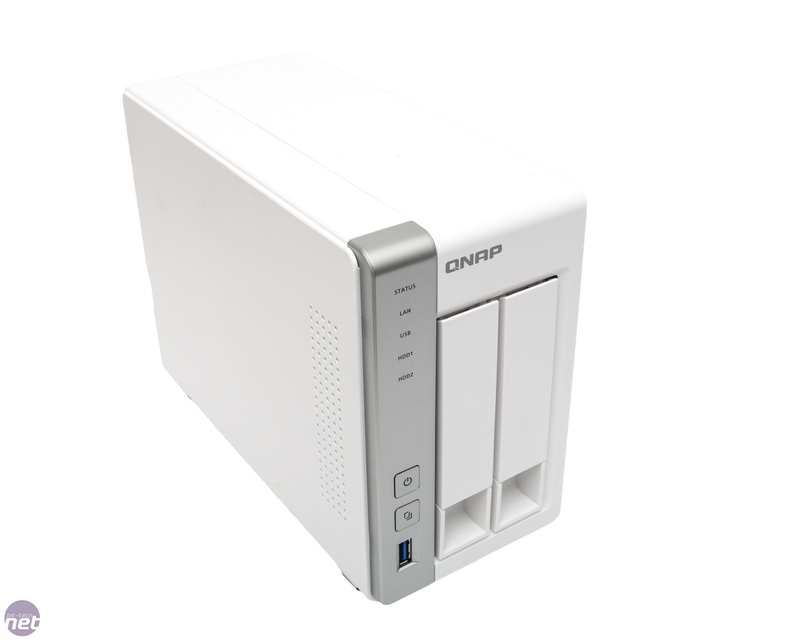 Features FTP server, Print, webserver, independent download (via HTTP, FTP and BitTorrent), iTunes and UPnP media sever, DLNA, storage server, photo server, video server, external USB hard disk support, One touch copy button, surveillance server, Cloud server.